Patience. This will take approx 20-30 min to do! 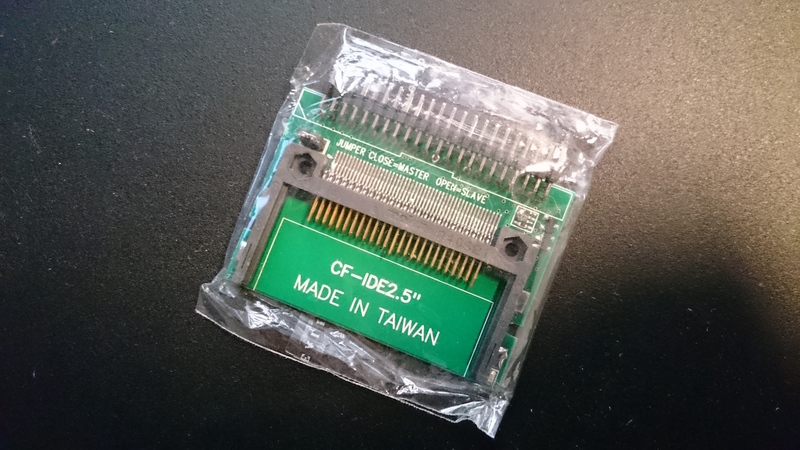 Installing the IDE 2.5″ to CompactFlash adapter itself, shouldn’t be any problem. 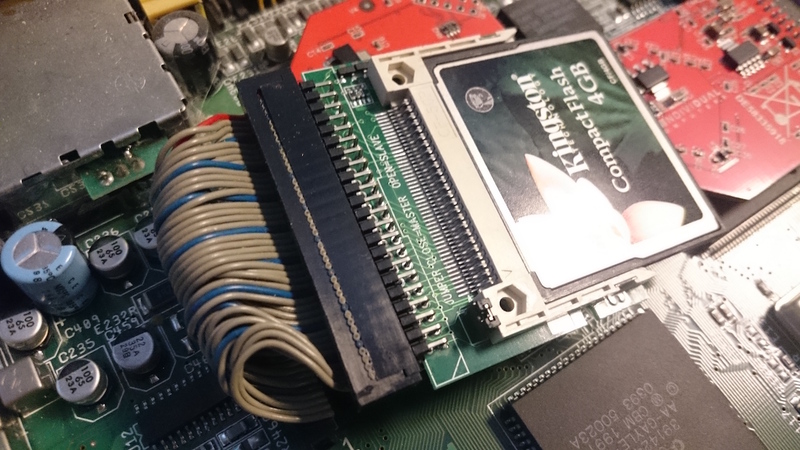 You can plug the adapter directly onto the Amiga 600 or Amiga 1200 motherboard IDE slot, but then the casing won’t fit unless you have made a Tower out of your Amiga. There are also other adapters that doesnt actually need a IDE cable at all also. However,.. its better to have a IDE cable if you want to use the same adapter as I have. Where to buy the adapter!? 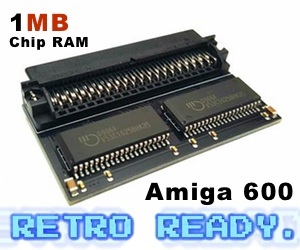 With compact flash memcards or even SD memcards you can test several things on your Amiga. You can have different memcards with different AmigaOS set-ups also. 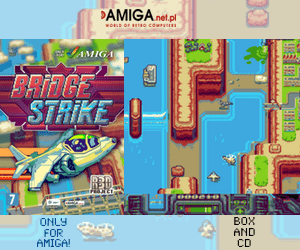 Its a really fun way to get your Amiga active again. Make sure that the filesystem you install is Smart File System (SFS) and not Fast File System (FFS). We will look at how to install AmigaOS 3.1 with different setups later. You just need to know what cpu you have, how much mem your Amiga got and what Kickstart your Amiga 600 or Amiga 1200 got installed. 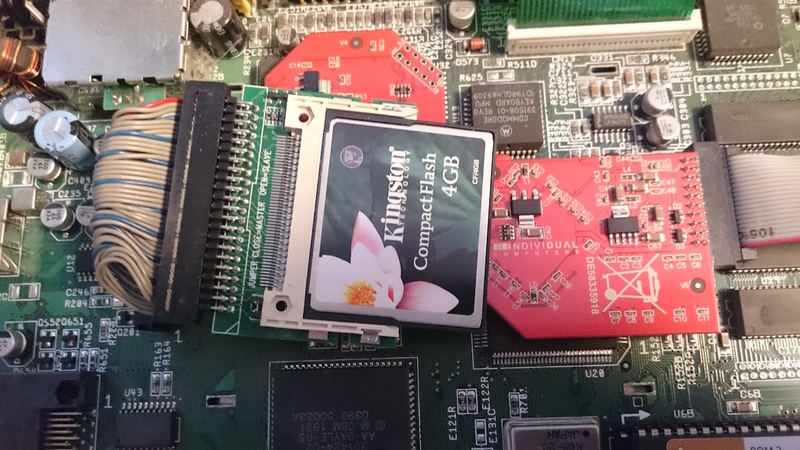 Cloanto also sells Workbench 3.1 now that comes on Compact Flash memcards also, but if you install the Cloanto 3.x roms inside your Amiga 600 or Amiga 1200 (there are different Kickstart roms for A600 and A1200! One for A600 and Two for A1200) you need to get the Workbench.library and put it into SYS:Libs to make it work. 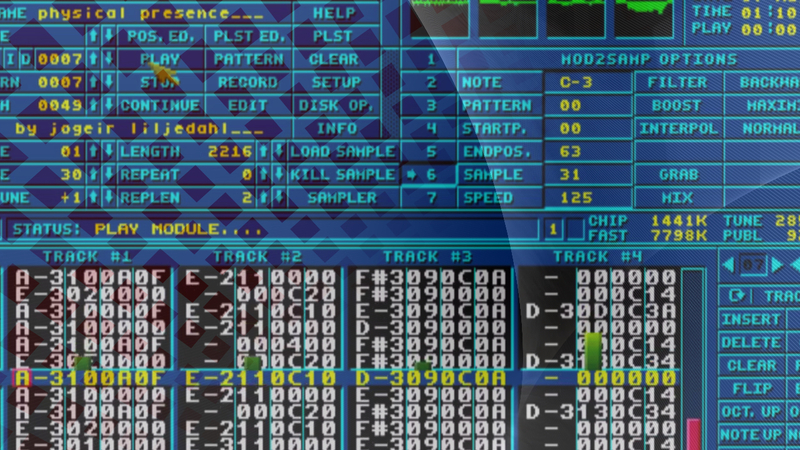 Or get Workbench 3.1 from Cloanto itself and it will work. So now, I hope that installing these adapters will help your Amiga a lot. 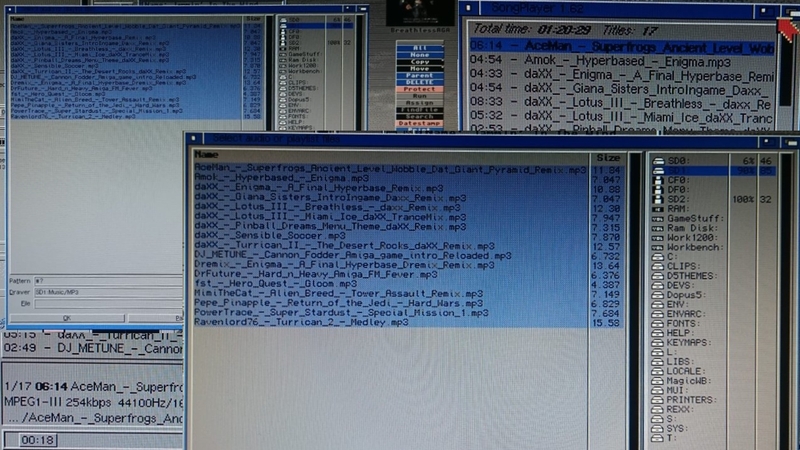 Install whdload and have a blast on a “faster” Amiga even! You will notice this either on 68000 or 68060 basic set-up for sure. I did though.